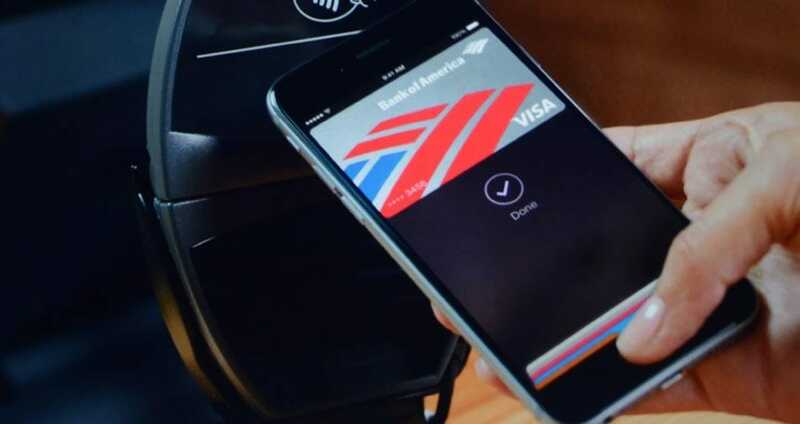 The Apple Pay service allows users to purchase at stores with their fingerprint thanks to Touch ID on iPhones and iPads. While Apple Pay aims to leave your wallet at home, it will run into problems and we saw some of these with double payments after the service first launched in USA. To date, Apple Pay problems haven’t been common other than the double charges at first and lack of certain support at launch. No longer do you need to find the right credit card or prepaid card, you can make a payment with just a touch thanks to most people always having a phone on them. If you have seen an Apple Pay outage today, or if things are just not working rather than completely down, then leave your status report below about Apple’s contactless payment technology. The security seems tight, but you the user know the real truth and how easy it’s been to use in various locations. If Apple Pay is down today, then reports will be found below. Is there something wrong with Apple Pay right now? I have been sent money twice and when I try to transfer to my bank it won’t go through. Any help? I use my debit card contactless many times with no issues, but I thought `I would try Apple Pay on my iPhone 6s and must say it works well most of the time. But i prefer to use my debit card as its more easier and lighter to use. Pulling out my card is easier than pulling out my phone. Never had any issues using Apple Pay – on iPhone or Apple Watch. Today 15 Oct 2016, watch and phone failed in two separate stores. Worked fine with regular bank card (the one linked to Apple Pay), contactless. Had issues using Apple Pay on my 6s at London Underground stations. Ticket barriers says contact card issuers but card issuer says all clear but still fails. I have then removed the card and re-registered which worked once but failed when I went to get train at another station. Ended up using my contactless debit card instead. My bank told me they are aware of Apple updating their system which is not good if it stops people getting around! Total fail for me so won’t be using Apple Pay to travel next time. It’ll be just debit card. I have used Apple Pay system on my iPhone 6s but not yet on my Watch. If you have used your Apple Watch to pay for things please let me know if its good or bad. I have used Apple Pay on the iPhone 6 s a few times and its very efficient, but i now have the Apple Watch and not too sure if i should stop using phone and use the watch, any help would be great – thank you. I just tried using apple pay at mcdonalds it came back as declined by the bank by the 2 cards i use namely Santander current and mbna credit both were declined, i swiped my actual card for santander which is the same card as registered on the apple pay and it went through ok, how embarrasing when both cards are not in any kind of negative balance or default, if its purely that the system is down for some reason which i can accept it shoukd merely say that rather than have the girl at the drive through shout declined by the bank, so frustrating, the only other priblem i had was a server in a shop said that the system was asking for the card for verification, the whole point of the apple pay is so you shouldn’t need your card or whats the pount? My Apple Pay is not working on my iPhone 6 today, I had to use this thing called money, cash. Not working today for me, was unable to pay for something so had to get that debit card out. Seems to be rather pointless this Apple Pay thing so far, not sold just yet. What a waste of time. Luckily I have my Samsun on EE for nfc payments. Since 2013 too. Since updating to 8.1.3 last week, my Apple Pay is not working now and it’s kind of embarrassing! I heard BoA is already issuing refunds for the duplicate transactions, I wonder if this is Apple’s fault or BoA. Every purchase I made with Apple Pay has been charged twice over on my Bank of America card. This shows how much people are enjoying Apple Pay, so much so they are happy to pay twice. Bank of America just double charged me through Apple Pay, not happy. I just got charged twice after purchasing something with Apple Pay, anyone else?